In the chapters of Summer Showers In Brindavan, 1978, Bhagawan speaks at length on the sacred scripture Bhagavata. 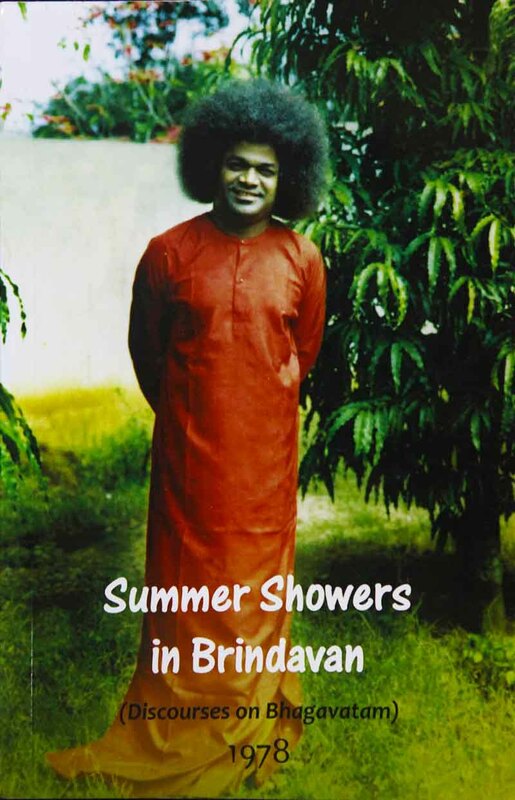 Bhagawan gave 31 divine discourses given during the Summer Course on Indian Culture and Spirituality held in May 1978 for making the lives of college students more sacred and beneficial. These discourses include stories from the Bhagavatam (the essence of experiences of the sages Sami, Sringi and Pariksheet), and the inner significance of Radha and Krishna, apart from divine guidance on good health, religion and religious scriptures, benefits of doing service, meditation, education, value of good company, the power of God's grace.